The Problem Is Not Seeing the Problem aims to show where discrimination comes into play, highlighting where change needs to begin. Advertising has a principal purpose: to sell a product, to influence choice, to attract or build loyalty to a brand. We need to get more used to the idea that it can—and should—also do good. And there is no good reason why it shouldn’t. After all, we know that consumers want this and also that ads that use progressive, multi-dimensional characters sell more product. With The Female Quotient and Ipsos, 14,700 men and women aged 16–64 in 28 countries around the world were surveyed, and 84 percent of 14,700 men and women aged 16–64 in 28 countries around the world said they like it when ads include a positive message about making the world better. Yet only 38 percent of these same people agreed that they had seen an ad in the past year that made them feel inspired. There’s a vitally important lost opportunity here, especially when it comes to making a positive shift in the way traditional gender roles are portrayed. We have asked why the messages we see every day echoed on screens, pages and posters don’t show women as equal to men, girls as able as boys and people in all their magnificent diversity. We know that where there is inequality, there is discrimination; where there are power imbalances, there is violence; where there is exclusion, there is poverty of every kind. And we wondered if there was an unintentional legacy of harm accumulating from unconsidered characterization. Where there is inequality, there is discrimination; where there are power imbalances, there is violence; where there is exclusion, there is poverty of every kind. Last year at the Cannes Lions Festival in France, I convened some of the biggest industry leaders to form the Unstereotype Alliance to confront this challenge. The members committed to create unstereotyped branded content by depicting people as empowered actors, refraining from objectifying people, portraying progressive and multi-dimensional personalities and fostering an unstereotyped culture through business and workplace practices that promote gender equality. As a group, we have developed shared tools to measure both content and business practices, and we are amassing a growing body of research on how to unpack stereotypes. We continue to grow as a forum where members set aside competition in favor of collaboration to achieve the higher goals set by the United Nations—in particular Sustainable Development Goal number five, which calls to achieve gender equality and empower all women and girls. There has never been a better time to change the negative stereotypes that disproportionately deny women opportunities and build confining versions of masculinity. This global partnership with advertisers gives us the reach to change the conversation, to rewrite the messages and to call a halt to discrimination. 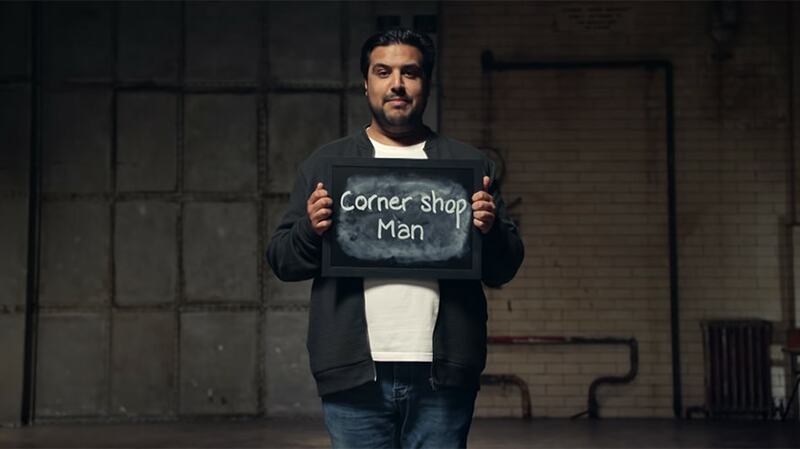 The Unstereotype Alliance premiered a short film at Cannes this year called The Problem Is Not Seeing the Problem, created by MullenLowe Group of IPG. Our starting point is to make the problem visible, learning how stereotypes take hold and how they vary from culture to culture. It’s complex; our research Beyond Gender illustrates how gender-based discrimination is compounded by other forms of discrimination, such as race, age or marital status. For example, in South Africa 72 percent of married black women reported their belief that society expects them to be feminine, dutiful and obedient, compared to the average of 58 percent of women. As an alliance, we are committed to addressing these multiple forms of discrimination and promoting positive masculinity. There are also initial findings from the Gender Equality Attitudes study. This first-of-its-kind research into gender-based social norms, which started in 10 countries (including Colombia, India, Japan, Philippines, Kenya, Nigeria, the United Arab Emirates, Turkey, Sweden and the United States of America) and plans to take this to 40 more. Consumer research techniques are helping us understand how men and women view issues such as access to education, employment, healthcare, political participation and leadership, as well as the dynamics of gender-based violence. So far, results show high perceptions of inequality between women and men across all dimensions and countries, developed and developing, and a high gap in women’s leadership and participation. This is helping us to expose oversimplified and generalized beliefs and to see the problem in much more nuanced ways. While we continue to deepen our research, partners in the Unstereotype Alliance are already applying it to show people in all of their complexity and to create advertising that is not only free from stereotypes but is progressive in its portrayals. In the survey conducted by Ipsos, 76 percent of respondents agreed that “advertising has a lot of power to shape how people perceive each another.” They are right. And our members are right. They are in the vanguard. It’s good for the bottom line. It’s what people want. And it’s essential if we are to create a gender-equal world for this and the generations to come. Phumzile Mlambo-Ngcuka is United Nations Under-Secretary-General and executive director of UN Women. As a champion for women and girls worldwide, she has devoted her career to issues of human rights, equality and social justice.